BRAND NEW Marshall Celestion Vintage 16 Ohms speaker. An ideal upgrade and direct replacement for your DSL40C speaker. This a 100% brand new item. Supplied to us in bulk from Marshall. Can be used in a variety of amplier combo’s and speaker cabinets. 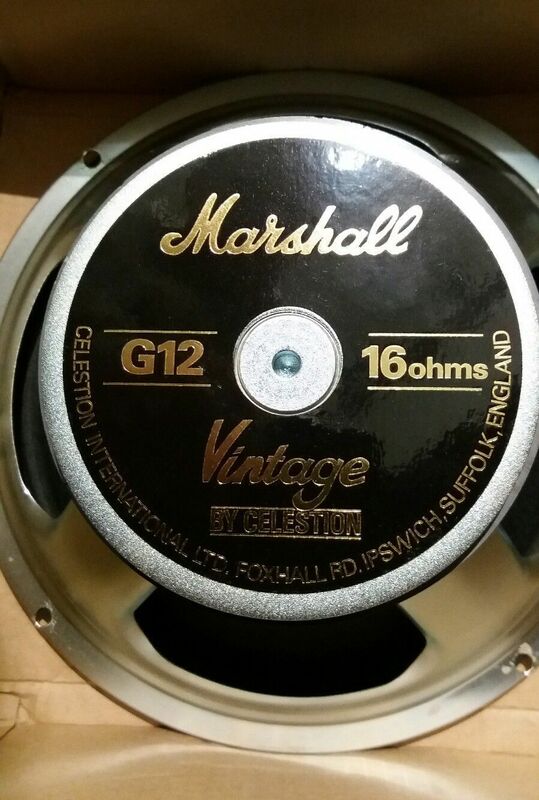 VERY IMPORTANT – Please ensure you make note of the “Ohms” of your speaker or amp specification – it is not adviseable to use this speaker if replacing it for a 8 Ohm speaker or a 4 Ohm one. This is an 16 Ohm speaker and should only be used to replace a similar 16 Ohm speaker. Of course there are several exceptions and instances where you can swap a 16 Ohm for an 8 Ohm but I just wanted to make sure you check before you replace it out to avoid potential damage. As we buy in bulk the speaker will be shipped securely in a non specific cardboard box with plenty of packaging.